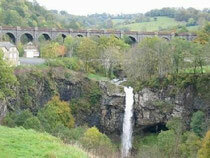 Discover the Cantal: leave on a conquest of great spaces in the "Green Land". Cantal in the Auvergne: a departement shaped by nature. 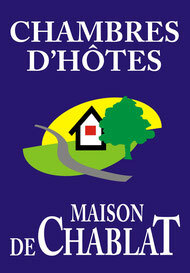 Nature lovers, the department of the Cantal in the french Auvergne is your destination! Divided between flat lands, plateaux and mountains, the Cantal brings you into a completely different world. The green valleys (Jordanne, Cère, Alagon...) are only one step away from the high local summits (Puy Mary, Plomb du Cantal, Puy Griou...) a step you'll surely take during your stay in the Cantal! Discover the Cantal: villages with authentic charm. The architecture of the Cantal will not leave you indifferent. Aesthetic as well as robust, the local old houses with their slate roofs have one common characteristic: an incomparable charm. 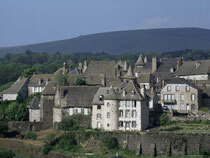 How discover the Cantal without being tempted by a visit of its typical villages. Saunter through the small streets and alleys of Salers, Pailheros or Marcolès and be carried away by the quiet and peaceful atmosphere. Halfway between Germany and Spain, in the region of the Auvergne, the Cantal (from 210 m to 1858 m of altitude) opens its areas of nature, shaped by volcano eruptions and planes of glaciers: le Volcan, l’Artense, le Cézallier, la Margeride, la Planèze, l’Aubrac, le Carladès, la Châtaigneraie, la Xaintrie. So many landscapes, so many faces! Water, the source of all life, is omnipresent: brooks, rivers, lakes and waterfalls join together with Mother Nature. On foot, by bike, by car, train or plane... all ways lead to the Cantal!